They say everyone has a twin, and it turns out that not only celebrity animals have celebrity animal dopplegangers, but real human celebrities do too. I was watching the Season 2 premiere of Mr. D. and I kept shouting out the various other people that the actors looked like when it dawned on me. 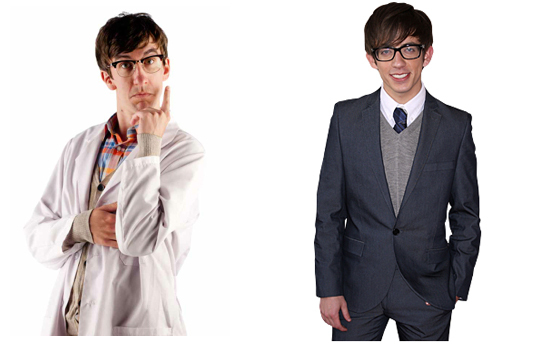 Is it a prerequisite to have a fellow famous person as your doppleganger to be a male cast member on Mr. D? This is my theory, let’s see if it holds up. 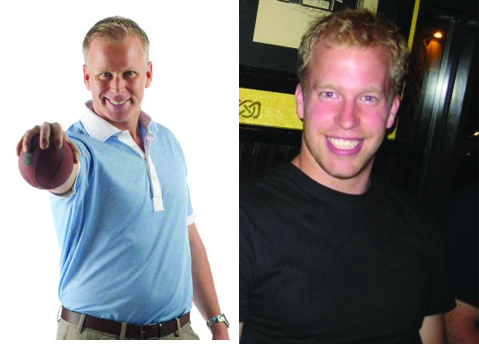 While Jon Dyer may not be a TV star, he is a dead ringer for Gerry Dee. In the summer I was driving down Spring Garden Rd. when I thought I spotted my old friend Jon Dyer walking down the street. I wave, and I see that he is waving back… only when I get closer it turns out it’s Gerry Dee. Facepalm. To make things stranger, I turn the corner and who do I see? THE REAL JON DYER. It’s important to note that Jon Dyer and Mr. D’s share the same favourite epic dance song, Walk Like an Egyptian. I don’t think I need to go on to confirm that Mr. Duncan & Jon Dyer are not only physical dopplegangers, but emotional ones too. A DNA test may need to be done. This one has been bothering me for quite some time. Luckily, since Jason Sudeikis has been all over Perez Hilton this holiday season, I was able to put my finger on this on Monday. 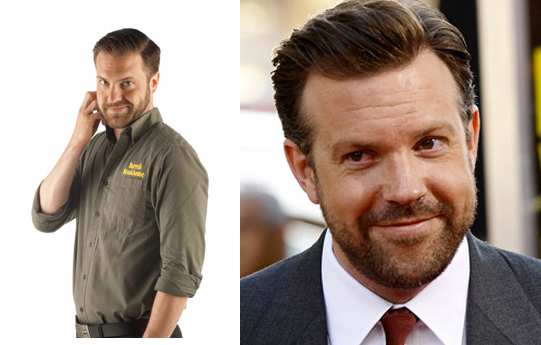 You cannot tell me that Darrin Rose & Jason Sudeikis are not IDENTICAL TWINS. And since there is no information on Darrin Rose’s birthday on the Internet I’m willing to bet that they share the same birthday, if they are in fact not actually the same person. Now the real question – WHICH ONE OF THEM IS IN THAT COFFEE COMMERCIAL? 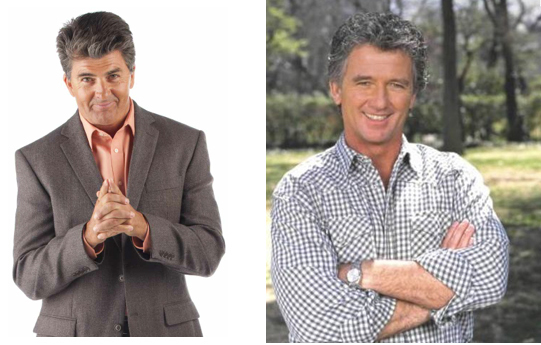 If you’ve ever watched TGIF you know that Patrick Duffy played the Dad in Step By Step. It needs to be noted that my research partner initially felt that Erika Estrada was the obvious doppleganger. I will let you draw your own conclusions on that one. 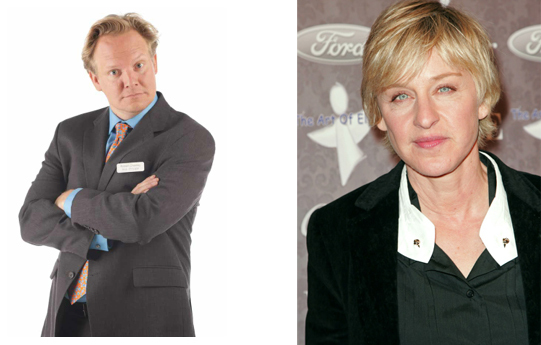 At first Jonathan Torrens thought that only his daughter confused him for Ellen Degeneres, but as it turns out – so does everyone else. With heads of flowing blonde hair and Twitter accounts that never fail to provide laughs, it’s easy to confuse these two. While my knowledge of celebrities may appear limitless, sports celebrities are a particular area of weakness for me. Enter research assistant who instantly identified Xavier’s favourite teacher Mr. Dwyer as the doppleganger of Milt Steegal. 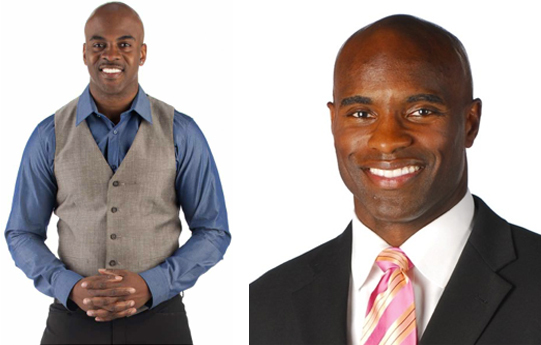 Former CFL Line Receiver, and current TV football analyst. And while I am not familiar with Stegall’s work, I can confirm that he and Mr. Dwyer are in fact face twins. Mark & Kevin have more in common than just their looks. They also spend much of their time on camera in high schools. And given that Mark is a member of the comedy troop Picnicface, I can only assume that he would challenge McHale (Artie from Glee) in a dance off any day of the week. This was a tricky one, which Mark should use to his advantage. He’s a bit of a chameleon. We searched through images of various celebrities that we felt could be his doppleganger. My research assistant strongly believes that Mark’s #1 doppleganger is Brett Favre circa 1990, however, you try searching for images of Brett Favre on Google without throwing up in your mouth a little. 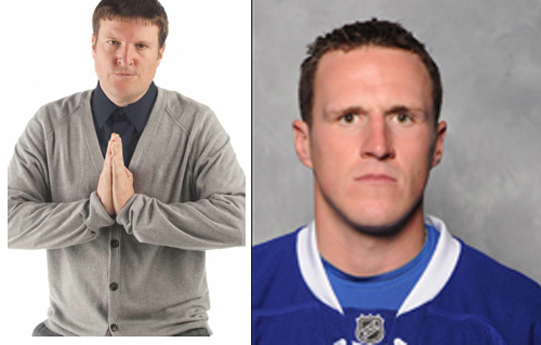 As a result we went for the obvious second choice, Dion Phaneuf. This was another easy one for my research assistant to identify. 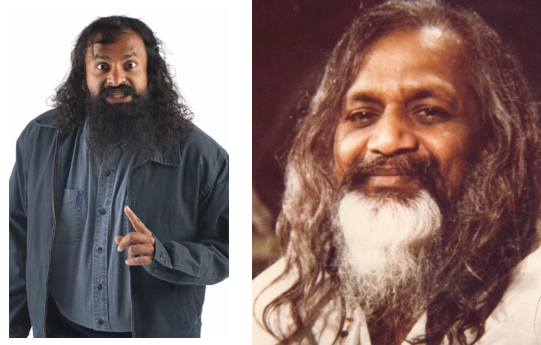 Being an avid Beatles fan, he quickly figured out that Suresh John looks just like the Beatles famous Yogi Maharishi Mahesh who was the inspiration behind the epic album Sgt. Pepper’s Lonely Hearts Club Band. Certainly not a bad guy to be mistaken for. Although it appears as though Brian Bannan hails from Canada, he might as well be an Orange County import. 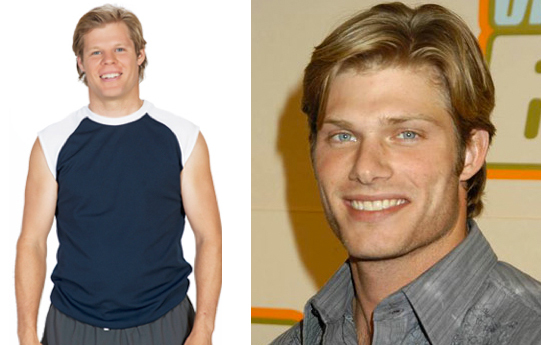 If he were to have punched Ryan in the face in the first season of The OC we would have been none the wiser. Given the remarkable resembles of these lads, I’m going to go ahead and say that my theory is correct. All male cast members of Mr. D. do in fact have fellow actor dopplegangers. **Photos borrowed from CBC.com, Google Images, and Jon Dyer Himself.